I really like reading my news on my tablet and occasionally on my phone. Using a news aggregator application has many advantages over magazines and newspapers. News aggregators collect news from many sources and present them to you. Most let you customize the feed. News360 is one of my favorites because it is very pretty, very customizable, and supports a huge number of sources. It collects news from over 100,000 different news sources so you aren't limited to just a few views. It is available online, and has both Android and iOS apps. 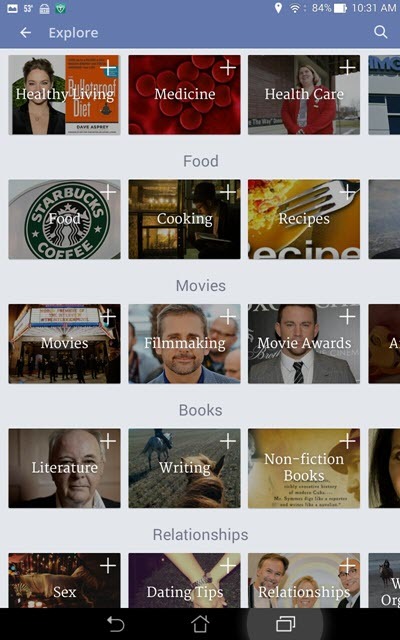 News360 gives you a few pages categories to choose from, with many topics within each category. Since that isn't enough, they also allow you to enter your own search words to select from over a million topics available. This is what my News360 home page looked like on my phone today (The tablet is like this but with 5 or 6 articles instead of just two. 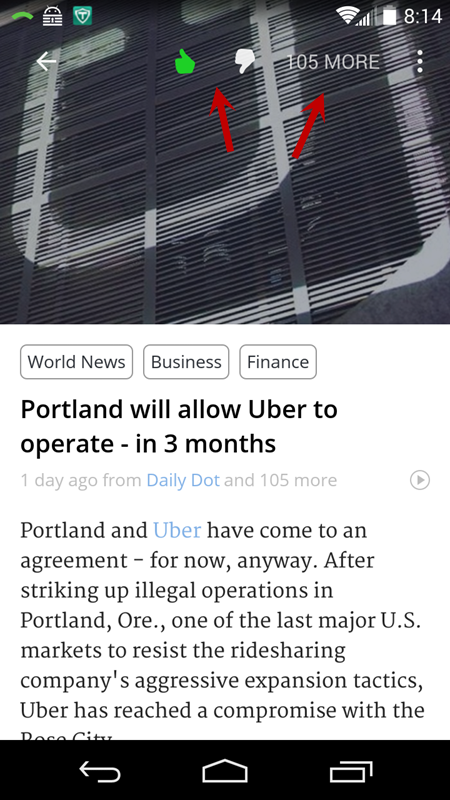 Of course you can continue to swipe left to turn to the next page of articles. 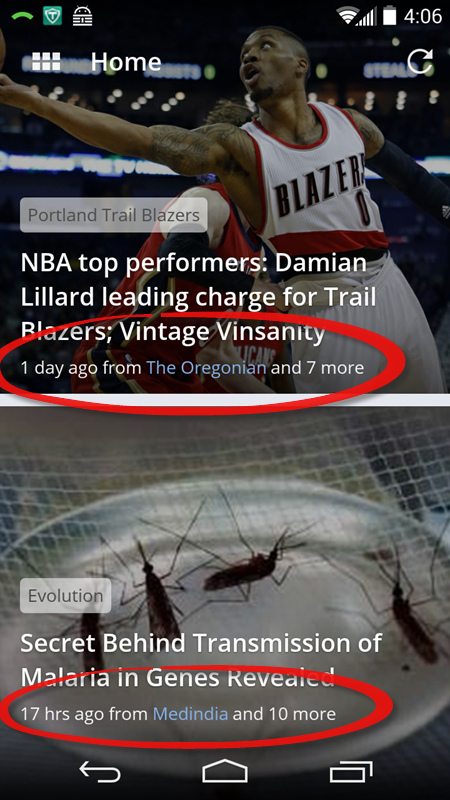 Notice that the Portland Trail Blazers article (one of my topics) was also reported on from 7 more sources. The evolution article from 10 other sources. When you want to read more or from another perspective, you can pull down the other sources list from the article and see how it was reported elsewhere. 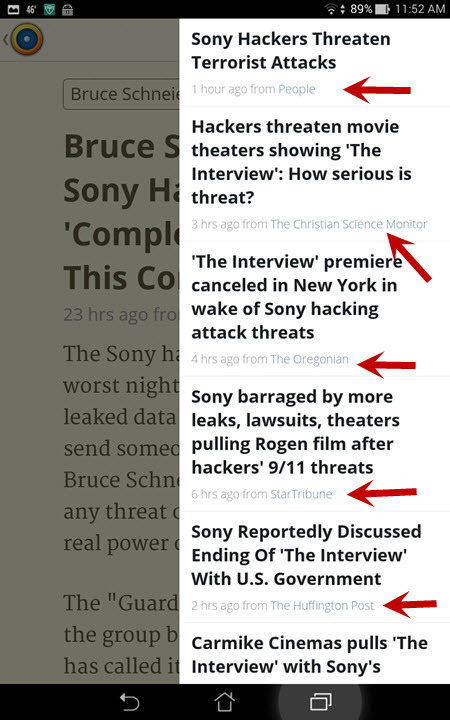 So after reading this article on the Sony Hack I could see how it was reported on any of hundreds of different sources. Sometimes I use this to look at it from another angle. Sometimes, the article wasn't very in depth and I choose another source more likely to dig deeper. 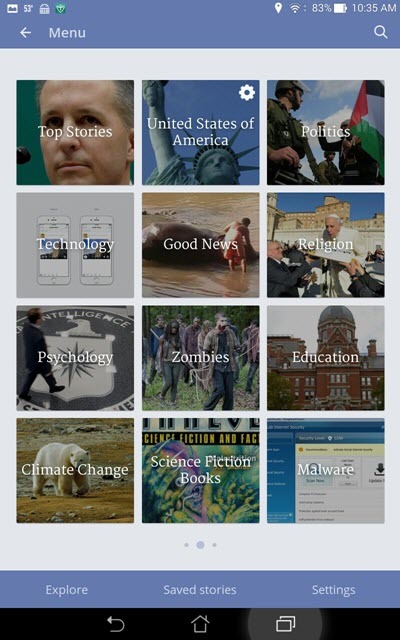 Articles have thumbs up and thumbs down so you can teach News360 which kinds of articles you like best. Of course you can always pulldown the menu and go directly to articles filtered by whatever topic you like. In addition to the above, they provide a nice reader so I can adjust fonts and make the article easy to read or open it in my browser. It is also easy to share the article with a friend who might be interested. This is a great way to read the news. But, if you don't want to read, check out this article, where you get to watch it instead.